FAA pesticide regulations do not reflect the unique nature of drones. Drones compared to a traditional helicopter or plane has more benefits such as flying lower, they are smaller, and can hover in place for longer periods of time. They can be effectively be controlled independently, have pre-programmed mapping and GPS. Inability to waive hazardous material transport restriction further prevents the use of drones in aerial pesticide application. Drones are forbidden from carrying hazardous materials that include active ingredients in pesticides, these chemicals would be banned from transport unless a time-consuming exemption was granted. EPA pesticide regulations require modification in light of new drone uses. Among the requirements of a pesticide label are instructions on how to apply, e.g, by helicopter, fixed-wing aircraft, or both. This is to minimize the risk of pesticides drifting to non-target areas and protect neighboring crops and workers. Drones offer the benefit of applying pesticides closer and reducing the concern for drift—as well as substituting hand-application methods. 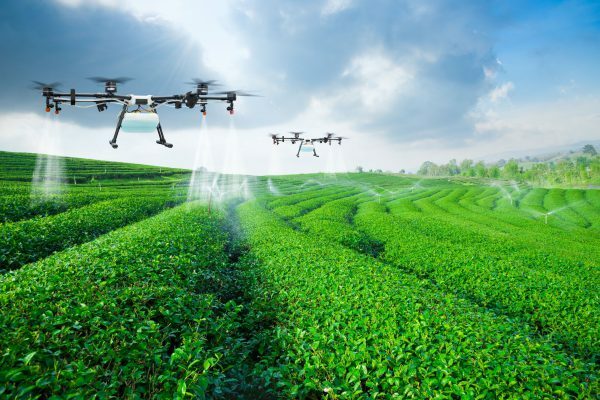 Petty argues that updates to the FAA and EPA regulations dealing with aerial pesticide application are long overdue, especially in the emergence of drones being a possible safer and cheaper substitute for traditional methods. But until regulations get improved, a combination of section 333 exemptions, part 107 waivers, and section 11 exemptions are a viable and burdensome process. This entry was posted in Drones, Pesticide and tagged Drones, Pesticide.